“Jane the Virgin” season 5 is going to be a bittersweet series for fans. Bitter because, unfortunately, Jane’s (Gina Rodriguez) will end after this installment. And sweet because the ending will finally reveal who the identity of the narrator (Anthony Mendez). At several instances, the voice in the background is what ultimately completes the storytelling aside from the cast members’ effective acting. And the mystery around the narrator’s identity has also been a fun puzzle for fans through the years. Luckily, showrunner Jennie Urman will provide a proper closure in this aspect through “Jane the Virgin” season 5. Urman said in 2017 "there are hints throughout [the series]” about the narrator's identity. 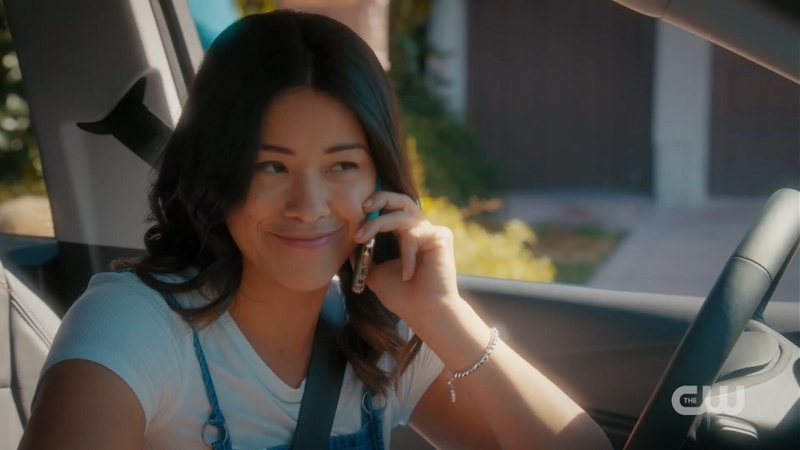 While the clues might not be that easy to find, fans are promised that the narrator will be unveiled in “Jane the Virgin” season 5, presumably in the final episode. The narrator’s name is one of the top-secret details that Urman kept through “Jane the Virgin” season 5. But she previously confirmed that they have been dropping clues from the beginning. Many fans have shared their theories online including this very detailed Reddit post by u/ColletteO, which lists pretty convincing clues since season 1. The fan is leaning towards the possibility that the narrator is the grown-up version of Jane’s son, Mateo. Another Mateo is a favorite candidate for the “Jane the Virgin” narrator — that is Jane’s late grandfather and Xiomara’s dad (Andrea Navedo), Mateo Villanueva. This theory became more popular after Xo and Rogelio’s (Jaime Camil) wedding in season 3. The narrator said, “And Xiomara? Well, she looked perfect. At least to the people who loved her most — which includes me.” Many fans were convinced the narrator spoke of Xo so lovingly as if he wished he had more time with her — Xo’s dad died at a relatively early age. Aside from the narrator’s identity, fans will uncover the truth about Michael’s (Brett Dier) fake death and sudden return in “Jane the Virgin” season 5. This development leads to another question, what will happen now with Jane and Rafael (Justin Baldoni)? The final season premieres on Wednesday, March 27, at 9 p.m. ET.